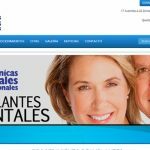 Dental and Medical care in Guatemala is extremely inexpensive while still maintaining a professional standard and providing high quailty work. The cost savings from one dental procedure could save you the equivalent of a round trip airline ticket. You basically get a vacation and dental care for less than dental care would cost in your home country. There are 100s of health professionals practicing in Quetzaltenango, many of them are US, Canadian, Mexican, Cuban or Guatemalan trained. Quetzaltenango has a dozen private hospital, 100s of private clinics and one large public hospital. Healthcare in Guatemala is approx 1/10th the cost of the same care in the USA. Health tourism is slowing starting to take root in Xela. You can buy prescription medication over the counter in Guatemala. The selection of medicine is not always great but if the pharmacy has what you need the price is generally MUCH cheaper than your home country. It is always best to bring any medication you really need with you. Pharmacies in Guatemala also carry many of the familiar over the counter medication for just about all ailments. For specific questions about services offered in Xela email me.